Stop looking! 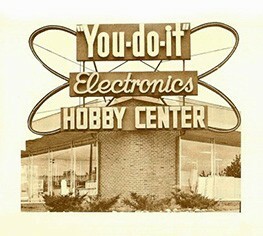 America's most complete electronics store is right here! The President was Harry S. Truman RCA Introduced the 45RPM Record Popular Songs included "Diamonds are a girls best friend" & "Rudolph the Red- Nosed Reindeer" Academy Award Movie was "All King's Men"
Expanded our space in our Boston location. Became a major distributor of self-service tube testers, radio & TV tubes, batteries and electronic parts covering eastern Massachusetts. 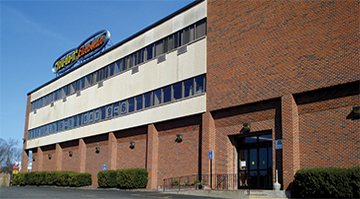 Realizing the need for a full line electronics distributor who could serve the public and industry, we made the decision to search for a new larger location. After a two year search an empty lot was found on Route 128 in Needham MA, our present location and construction of a one story building began. Grand opening of "You-do-it" Electronics Center we occupied 70% of the building. 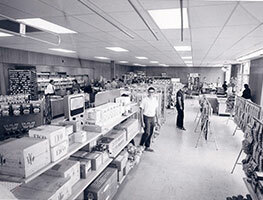 From 1967 to 1976 we expanded our space and eventually occupied the entire building . A very gratifying year for us....October marked a milestone of 25 years of continuous operation in the Electronics Business. Began another major expansion by adding two additional floors while remaining open our regular store hours during the entire complicated construction period. After 14 months of construction, "You-do-it" Electronics® Center opens the new expanded 30,000-square foot area consisting of 2 modern sales floors, company offices and warehouse facilities. Our First 672 page industrial full line printed catalog with over 200 vendors. Became one of the first businesses of our kind to become fully automated with a computerized, barcoded, point of sale system. Time to celebrate our first 50 years into the new millennium, and begin our next 50 years serving consumer, retailer, government, cities and towns, institutions and all types of industry. September 2004 We began a major year long 55th Anniversary Promotion. 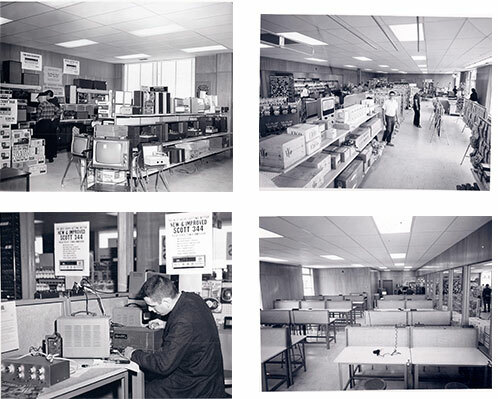 Celebrating our 60th Year anniversary all year long with special sales and events. Introduced presence on social media websites including Facebook, Twitter, Youtube, and Foursquare to utilize special promotions with up to date information on current events.